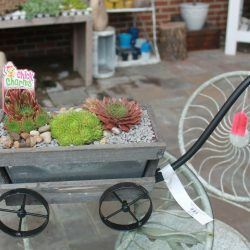 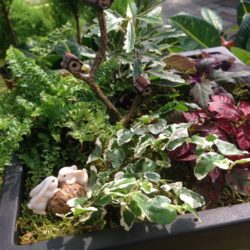 Miniature Gardens: Small stature, big impact. 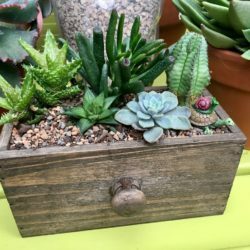 Join the miniature gardening craze! 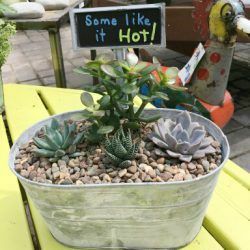 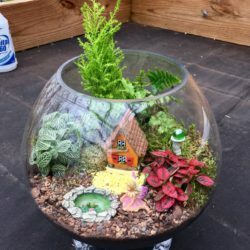 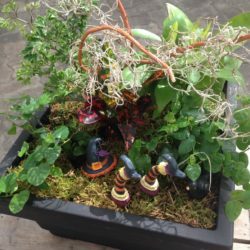 Create your own fairy garden, gnome home, succulent sanctuary or terrarium. 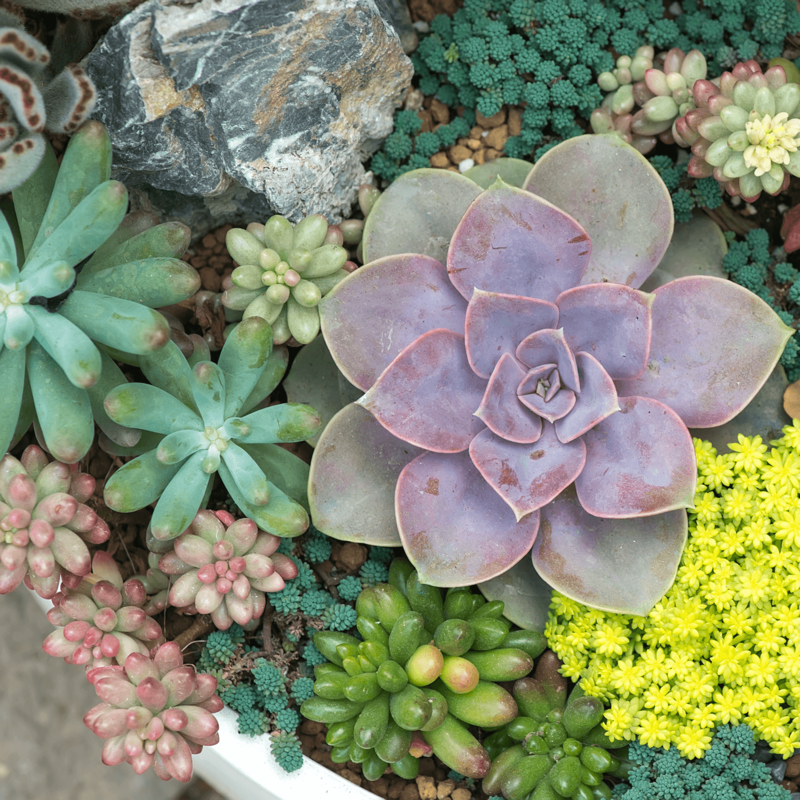 These are perfect indoor gardens for all ages. 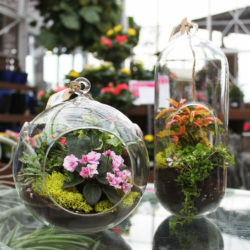 Terrariums: Houseplants living in harmony. 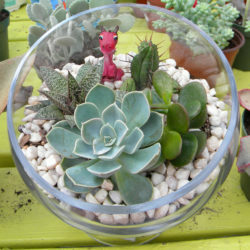 Terrariums are essentially mini greenhouses. 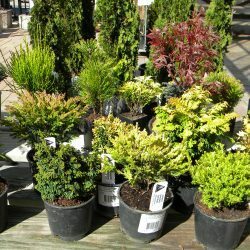 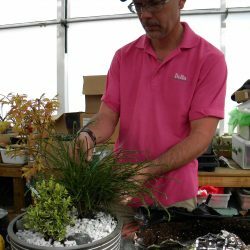 Plants thrive in their own micro-environment with little maintenance. 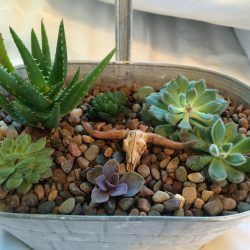 Just set them in the right light and they’ll practically take care of themselves. 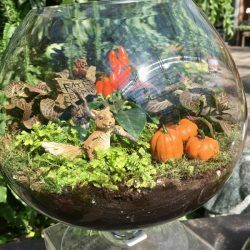 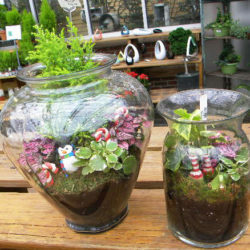 Pre-made terrariums are available, or make your own! 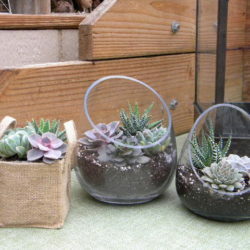 We’re happy to lend you a hand if you need one. 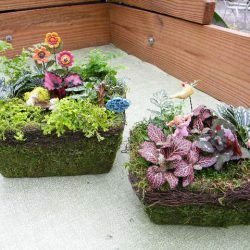 We also welcome the opportunity to customize a container just for you.